From the right please select body colour from either light grey or recycled black. Both are no cost options. 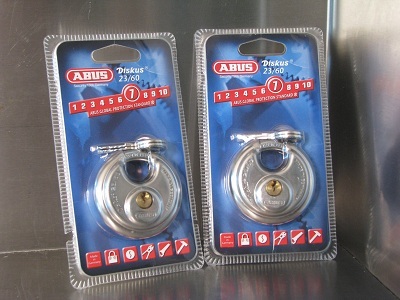 These are not essential but do add to the security level of your Bike Vault. 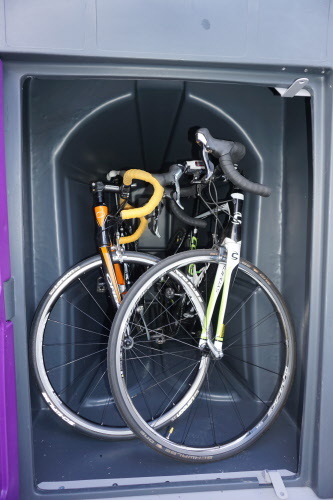 BIKE VAULT is a safe and secure bike storage solution (loads www.bike-vault.co.uk in a separate page). 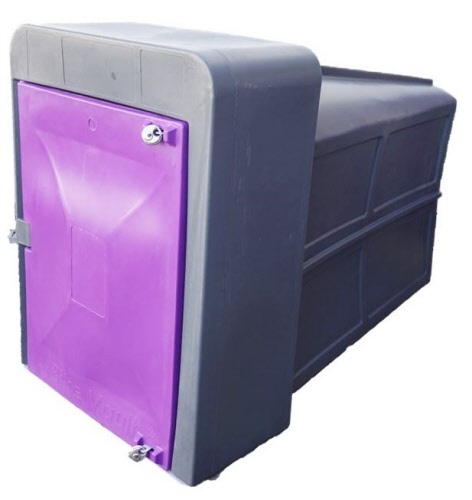 BIKE VAULT is manufactured from recyclable low density polyethylene (Think salt bins – Extra Tough!). The LDPE is UV treated and will not deteriorate or discolour over time. LDPE is also very unreactive and resistant to graffiti! 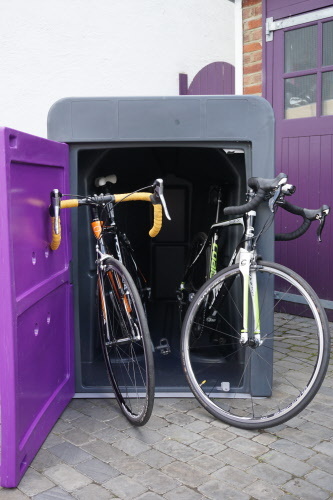 BIKE VAULT features double security. 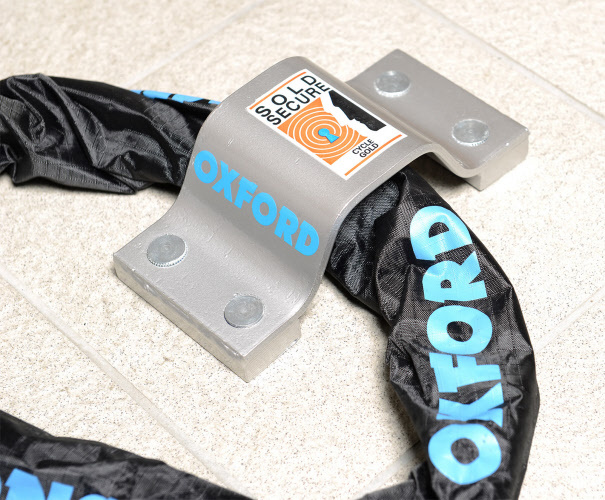 The door hasps are made of protected stainless steel tabs, drilled to accept padlocks. 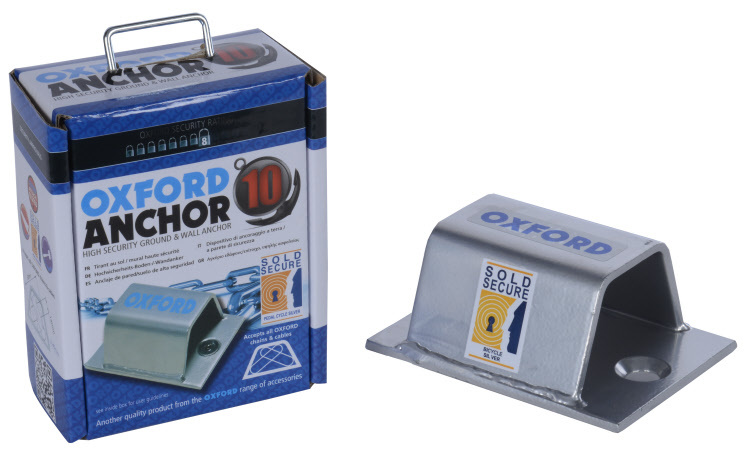 Internally it is designed so that a ground anchor can be installed to accept a D Lock or chain for additional security. 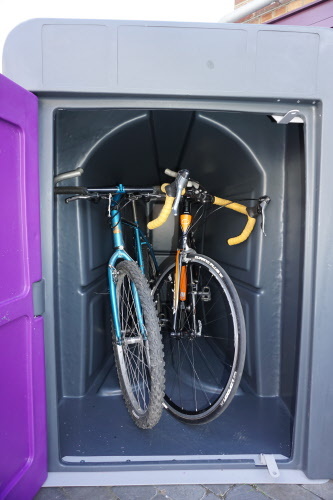 BIKE VAULT is weatherproof so your bike is kept clean and dry and there's space to store your helmet and other bike kit safely with your bike. 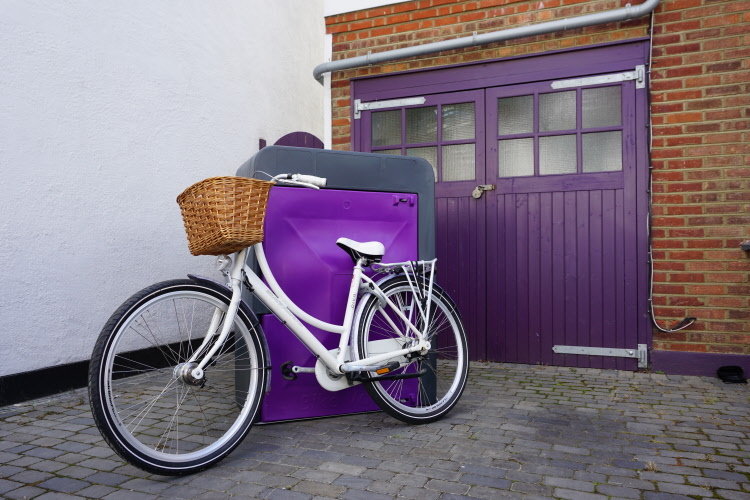 BIKE VAULT's attractive design means it will look good anywhere. At the front of your property (or any other location you would like to see one!) where it is most convenient for storing your bike. No need to carry your (possibly muddy and wet) bike round, or worse still, through your house. Leave all your bike essentials with your bike. 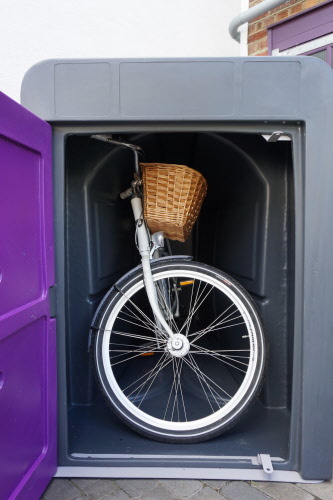 BIKE VAULT is manufactured simply as a body and door and is supplied fully assembled and complete. Each BIKE VAULT is delivered with 4 Rawl Bolt base fixings, tapered door knob and instructions for installation. Only basic DIY skills and DIY tools are required for installation. 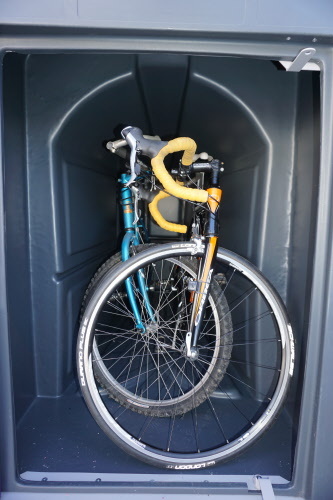 BIKE VAULT's standard from stock colour is a light grey body and light blue door. Other standard colours are all of those listed in the options to the right. Other colours available on request. 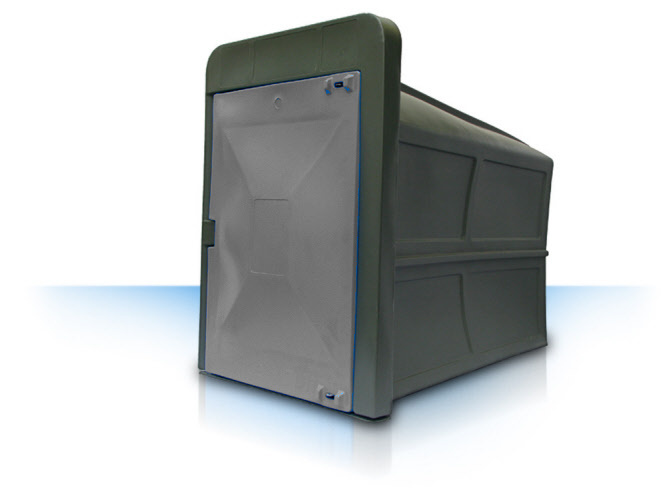 BIKE VAULT can be supplied with the body manufactured from RECYCLED material. This is actually reprocessed material and is identical to new in all respects except it must be black. 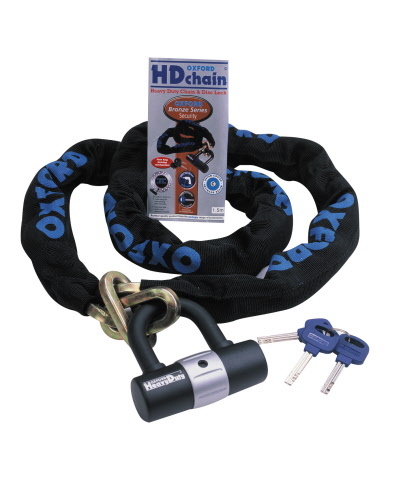 For maximum security consider our accessories as listed to the right.